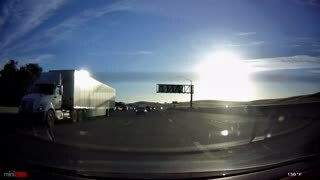 Rumble / Dash Cam Footage - Imagine this: you’re being tailgated and finally the offending vehicle passes you, flipping the bird as they sail by as if you were the one doing something wrong. You take a deep breath, exhale slowly and try to take comfort in thinking that someday justice will be served. 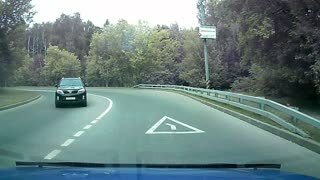 That’s probably what a Polish driver thought, except this driver got to see “instant karma” happen right before his eyes - and he is caught it on camera. 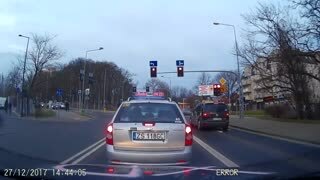 Dash cam footage in Kraków, Poland captures some good old-fashioned instant karma in its finests moments. Watch what happens when a vehicle fails to stop at a crosswalk while a pedestrian is about to cross the street. The driver is instantly chased down by two policemen on motorcycles who were driving right behind the reckless driver and caught him red-handed! 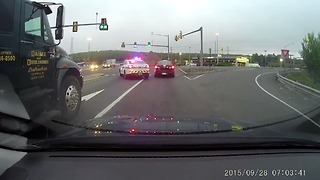 Don’t you just love dash cam videos? They are the gift from the gods of technology, letting us capture things we could never explain to people who weren’t with us in the car at the time of happening! Ever since they came out, the dash cam’s initial purpose was to insure you in case of traffic accidents or when some unlucky person decides to blame you for running them over. People have had their minds taken off the guilt of ruining someone&apos;s life or idea of a life with the footage their camera captured. 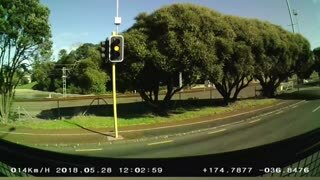 The majority of videos we get captured by these awesome devices let us see what it looks like when someone gets served with instant karma, cold and hard! Whether it is a rowdy pedestrian or a careless driver, we get to see that there is justice in the world and it will catch up on you, sooner or later. One driver in Poland managed to capture what happens to Polish drivers when they fail to let pedestrians pass while on the crosswalk. A van driver zoomed right past a woman standing in the pedestrian crossing just right when she was about to cross the street. 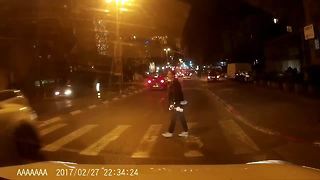 Almost immediately after blowing through the pedestrian crossing, the sound of police is heard in the distance as two policemen on a motorcycle chase after the reckless driver. Zoomed in footage shows the satisfying moment when justice is served as the policemen catch up to the van with flashing lights on, requesting the reckless driver to pull over. Instant karma at its finest! You never know what&apos;s going to happen when you&apos;re out on the road. 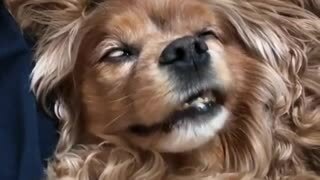 Check out the following video asking yourself is this real?! Some people like to follow the law and try to get from point A to point B without any problems. Others have an innate need for speed that they must fulfill when they are on the road. A number of drivers in Riyadh, Saudi Arabia were caught on camera performing incredibly dangerous stunts on April 5th, 2015. If you ever are in the presence of driving this reckless and stupid in the streets, don&apos;t hesitate to call the authorities. There is a time and place for everything, in this case it is not in the streets where people commute. The driver got what was coming to him/her.